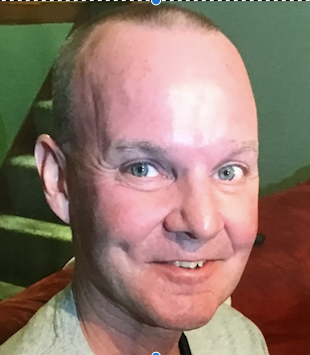 Terrence M.”Terry” Regole, age 55, of Oregon, Illinois, formerly of Geneva, passed away Friday July 6, 2018 at Seasons Hospice in Naperville with his loving family by his side. He was born June 23, 1963 in Geneva, the son of Maurice and Patricia (Burton) Regole. Terry received an associate’s degree from the College of DuPage and worked many years in the maintenance industry. He was an avid sports fan and enjoyed watching the Cubs, Blackhawks, and Oklahoma Sooners. Terry’s greatest enjoyment in life was spending time with his family and friends and he will be dearly missed. He is survived by his parents Joseph and Patricia Slowiak of Batavia; siblings Kathy (Joe) Rissman of Hinckley, John (Amy) of Geneva; nephews Ryan and Adam (Tara) Prevost; niece Anna Regole; great nephew Rory; and many other dear relatives and friends. He was preceded in death by his father Maurice Regole Jr. and his sister Sharon Regole. Visitation will be held Wednesday, July 11, 2018 from 10:00 am until the time of his funeral service at 12:00 pm at Malone Funeral Home, 324 E. State Street (Route 38), Geneva with Father Jonathan Bakkelund officiating. Interment will be held privately at Resurrection Cemetery in Geneva.